This popular bespoke course can be run in the Lake District or Scotland using longer scrambles and easy long climbs to simulate routes of Alpine length. This course is aimed at people who already have climbing experience but have not applied their skills to the longer routes of the Alps and beyond which often require a faster more efficient approach than the majority of our ‘pitched’ UK climbs. The aim will be to explore the various techniques and skills that will allow fast and safe movement on longer routes, where, for example, the terrain may require sections to be ‘pitched’ in the traditional way as well as easier sections where moving together with coils taken on the body will be required for speed. Note – We only run Alpine Rope-work courses at a 1:2 instructor client ratio max. 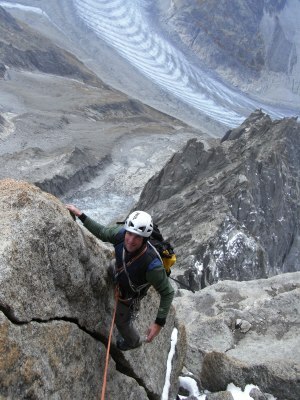 We can supply additional instructors for larger groups wanting Alpine Rope-work.